In a stunning return to top form, The Production Company gives Broadway’s jewel in the crown the polish and respect it deserves with sensational results. 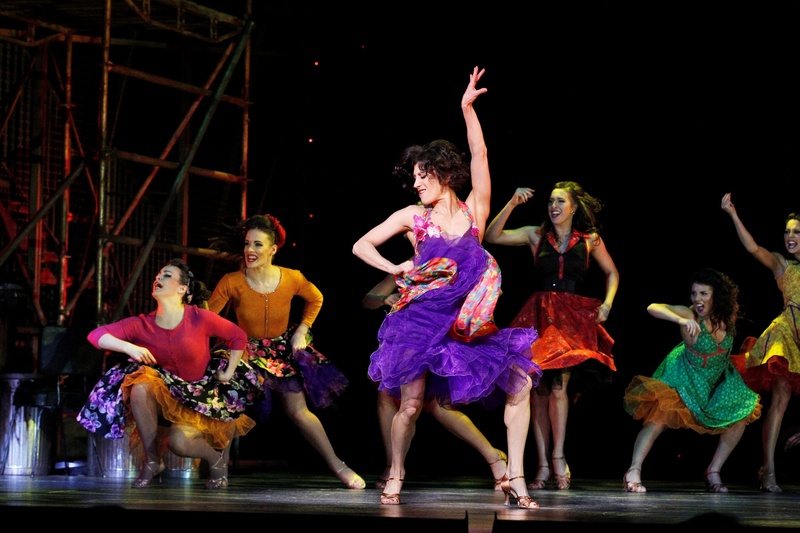 Created by four titans of Broadway, West Side Story changed the face of music theatre when it opened it 1957. The classical influences of Leonard Bernstein’s score, the ingeniously updated Shakespearean plot of Arthur Laurents’ book, the fresh ingenuity of Stephen Sondheim’s first Broadway lyrics and the dazzling excitement of Jerome Robbins’ direction and choreography combined for a groundbreaking musical that was even greater than the not-inconsiderable sum of its parts. 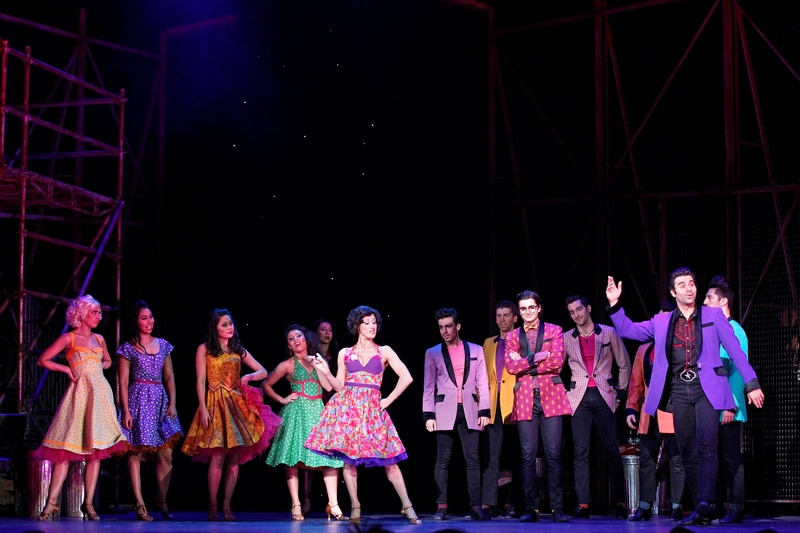 In presenting this terrific choice for their fiftieth show, The Production Company has not only waited until they well and truly have the resources to do it justice, but have also benefited immeasurably from the massive increase in performance training in Australia across the seventeen years the company has been in existence. Mounting such a fully realised production in three weeks is a miracle borne of the passionate dedication of young theatre artists and the expert training they are able to receive. Director Gale Edwards is back to the excellent results achieved in Chess and Gypsy, leading with a decisive hand to present compelling storytelling telling that is as clear as it is affecting. Thankfully, Laurents’ seminal book is presented intact, the juvenile hooliganism, pointless street violence and thwarted dreams still disturbingly relevant today. The spectacular large-scale set by Shaun Gurton uses towering wire fences to represent oppressive constriction that leads the young characters to rebel. Clever use of scaffolding portrays the famous balcony scene, and washing lines fly in to add to the feeling of tenement housing. Additional scenes, such as Doc’s and the Bridal shop, are efficiently created downstage with a few simple props. While Edwards makes confidence use of the height and breadth of the stage, the impact of the action, particularly the book scenes, is unduly diminished by the cavernous auditorium of the State Theatre. Musical director Guy Simpson leads a sensational performance of Bernstein’s exhilarating score, presiding with unfailing flair and expertise over a full complement of 31 superb musicians from Orchestra Victoria. Required to play a range of musical styles, from big band jazz to Latin to classical to Broadway and more, the musicians prove themselves terrifically capable. The sound design of System Sound is reliably meticulous. 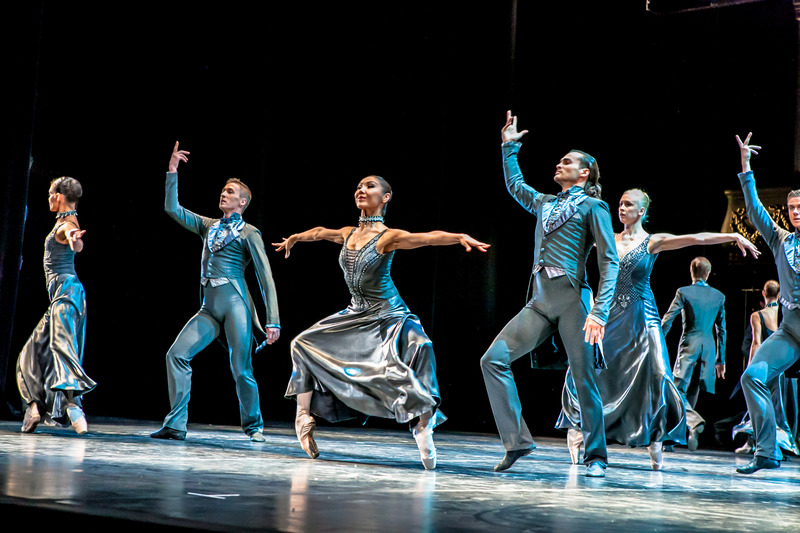 A towering achievement here is the dazzling, electrifying and immensely satisfying quality of the dancing. Emerging choreographer Michael Ralph has expertly recreated, taught and drilled Robbins’ original choreography to thrilling effect. 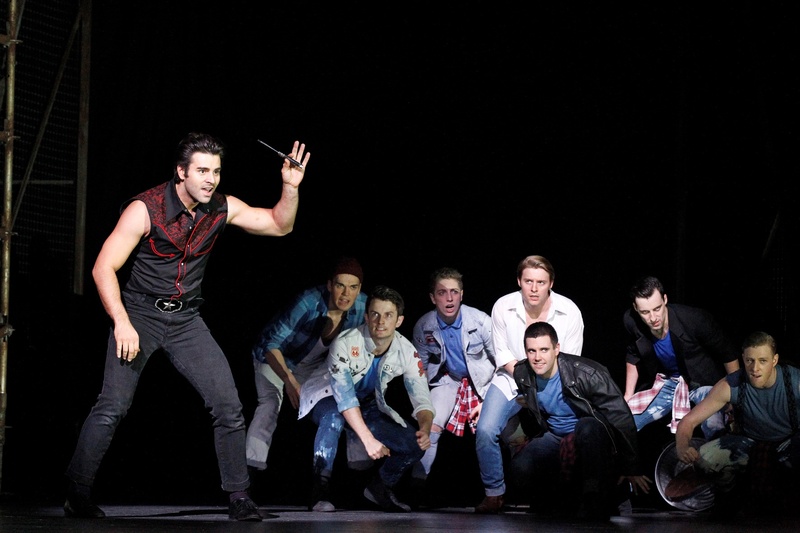 The cast performs the choreography with a confidence that completely defies the tight rehearsal period. Combined with equally strong vocal and acting talents of the cast, numbers such as “Prologue,” “Cool” and “The Dance at the Gym” really fly. The only casualty to the restricted rehearsal time is the loss of part of the “Somewhere Ballet,” and yet by staging just the dreamily serene section of the ballet, Ralph, Simpson and Edwards have made it more of an oasis amidst the carnage, celebrating Tony and Maria’s peaceful vision without the need to telegraph the further bloodshed to come. Adding significantly to the quality of the staging is the lighting design of Trudy Dalgleish. The mood of each scene is enhanced by clever colour choices, right down to the colour of the twinkling star cloth. Dalgleish uses the hanging washing as a canvas for colour, and even lights the onstage orchestra atmospherically. The one weak link in the production is the costume design of Tim Chappel. While Chappell has provided a good number of appropriate, attractive costumes, the Rocky Horror meets Romper Stomper look for the Jet Girls is completely out of place with the authentic setting for the staging. Having Tony in a singlet undermines his usually clean-cut look in showing that he is trying his best to move on from the gang. The use of blue and red to delineate the Jets and Sharks is slightly blurred, creating confusion in company numbers. 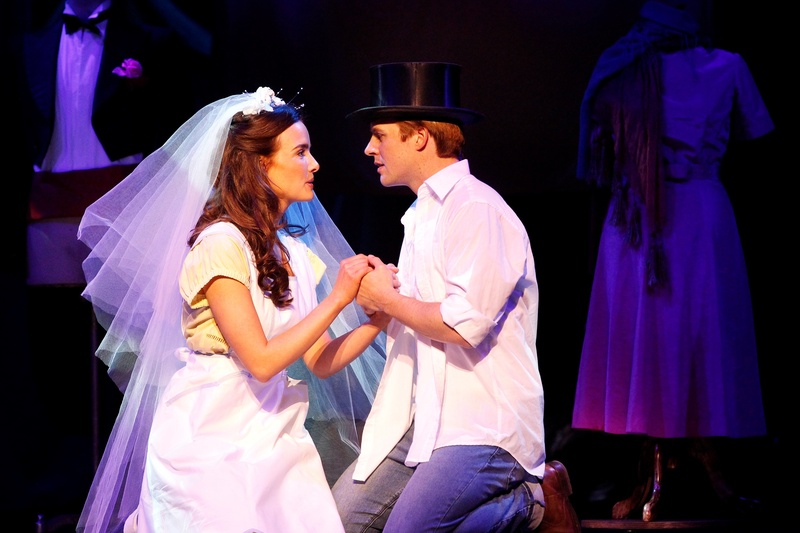 The true quality of the production comes not just from the terrific dancing but also by the fact that this is balanced by the heavenly performances of Anna O’Byrne and Gareth Keegan as Maria and Tony. Returning to her hometown from her burgeoning career on London’s West End, O’Byrne is nothing short of divine as Maria. The role showcases O’Byrne’s angelic soprano perfectly, also drawing on her dramatic and comic skills as an actress. O’Byrne conveys the wonder and guileless naivety of a teenage girl, breaking hearts all the more when this trusting innocence is so brutally destroyed. Keegan’s fine tenor soars effortlessly through Tony’s songs. The fact that a Broadway import was needed for this role twenty years ago is now unthinkable. Keegan’s acting is not quite on the powerhouse level of O’Byrne’s, but the pair enjoys pleasing chemistry, and their duets are beautifully blended. Quality casting continues right through the company. Magnetic performer Adam Fiorentino gives Bernardo the unshakeable self-assurance and confident strut of a young man who believes in his immortality. Sean Mulligan conveys the charismatic leadership of Riff, while keeping the character’s youthful inexperience bubbling just below the surface. 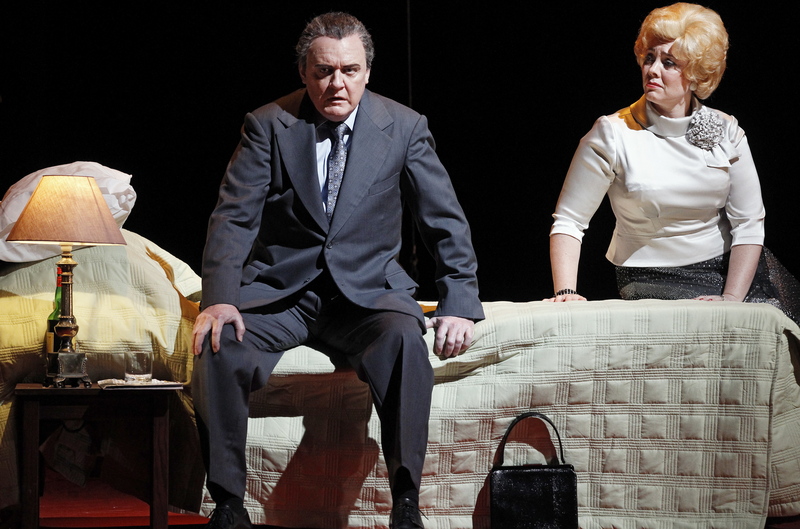 Fiorentino and Mulligan make such an impact in act one that their presence in act two is noticeably missed. 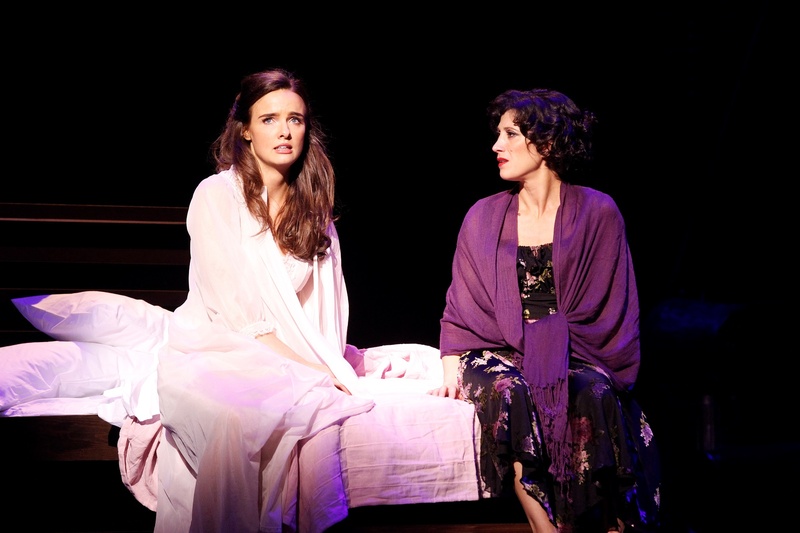 The triple threat nature of Anita was clearly shown on opening night when it took three actresses to play the role. Unfortunately suffering from laryngitis, Deone Zanotto acted and danced (sensationally) on stage, while assistant director Natalie Gilhome provided the dialogue and Amanda Harrison provided the singing. Incredibly, this arrangement worked seamlessly, a testament to the skills of all three women. In a well-judged performance, Jared Bryan displays the simmering pent up rage of Action, and shines in heaven-sent act two tension-breaker “Gee, Officer Krupke.” Rob Tripolino delivers another sensitive, carefully thought out characterisation as Chino. The full company give their all, but to name just a couple of standouts, Alex Given has presence and energy to spare as A-Rab, Franky Drousioti is endearingly innocent as Baby John, and Blake Appelqvist, a particularly strong triple threat, shows himself a performer to watch as Diesel. 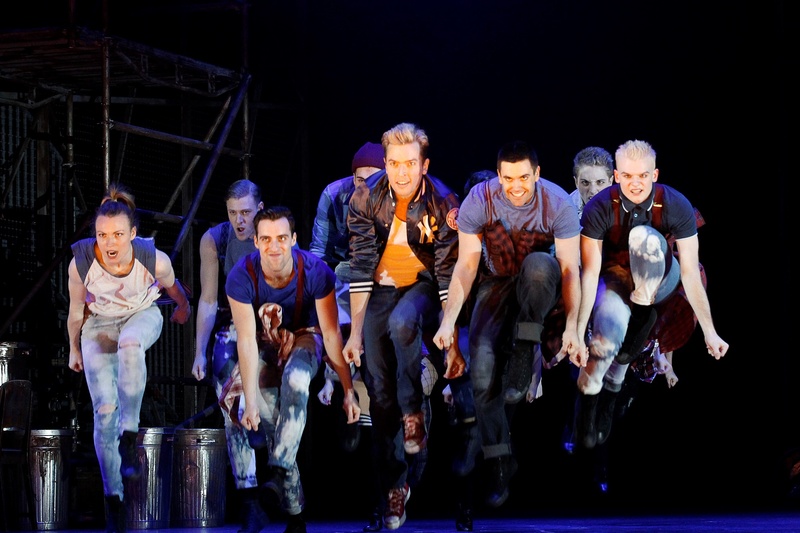 West Side Story will thrill long time fans and blow the minds of newcomers. 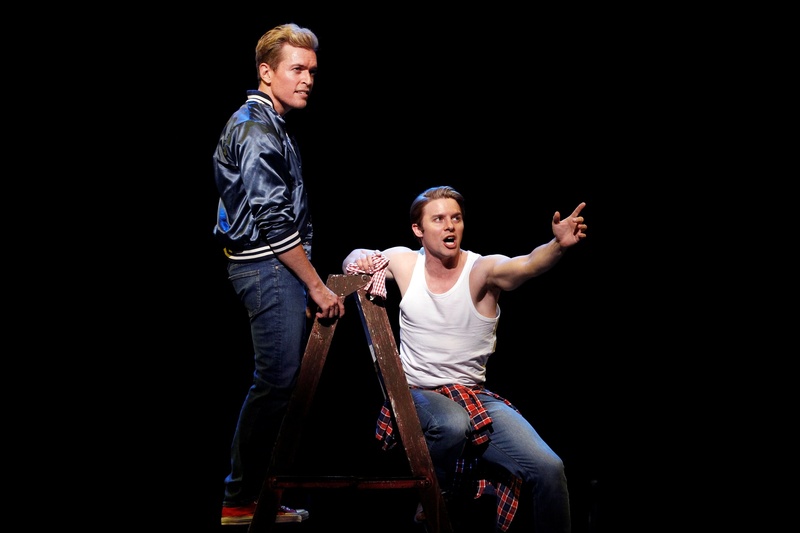 Two professional productions of West Side Story for Sydney in 2019,.. albeit one at sea !! Did A not talk to B on this one ? Opera Australia is showing a lot of confidence in potential audience interest. It’s insane! Imagine if the Stephen Spielberg movie of West Side Story manages to come out next year as well. Not sure how they are going to cast these two Australian seasons. How do auditionees decide which version to audition for?